Growing your home improvement business and building a larger customer base presents unique challenges. You need to target and attract homeowners, DIYers, vendors and contractors. You also need to get the word out to the right audience to promote sales, services, and in-store events in a timely manner. But you have limited time and energy in each day. And there are so many other aspects of running your business to manage. With so many different tasks pulling you away each day, how can you give proper attention to your company's marketing efforts? By creating a smarter marketing strategy using the step-by-step process outlined below. Your marketing needs are unique and your time is precious. That's why it makes sense to craft a home improvement marketing strategy that is tailored precisely to your business. One that first targets your potential customers, delivers just the right messaging to that target audience at just the right time, and then continues to nurture those leads to help them convert into customers. Why can't I attract the right customers? It's frustrating to spend advertising dollars that aren't reaching the right customers. How do you resolve this issue? 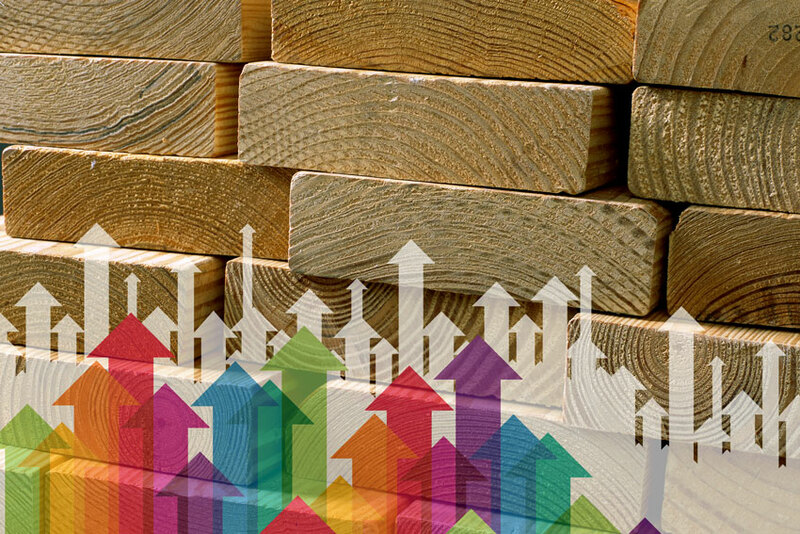 By targeting the right audiences for home improvement centers and lumberyards. These may include local homeowners, DIYers and weekend woodworkers and builders. But you may also need a strong local contractor base. And you may need to enlist the help of vendors from time to time, as well. It's discouraging to have a great sale, service or in-store event to promote and miss the window of opportunity to get the word out. Timing is everything in your industry. What if I don't have the time for marketing? Instead of agonizing over marketing campaigns that are shot-in-the-dark at best, your time is much better spent elsewhere. As a logical first order of business, you will want to market your products, events and services in such a way that they result in sales. Makes sense. That said, maybe your home improvement marketing goals should aim even higher than this. For example, how about marketing your products, events and services to exactly the right audience at exactly the right time? This is the key to sales sustainability. It also results in a customer-base that grows year over year. Beyond that, you can strive to position your business as a community asset and industry thought-leader. By providing expertise, useful tips and consistently relevant information on social channels and through email newsletters, you will gain followers, fans, and a community-base of promoters or even evangelists. To meet your home improvement marketing goals, there are 3 clear steps to take. First things first: define and attract the right customer. Next, get the word out to the right audience at exactly the right time. And finally, nurture these leads to increase conversions by delivering regular content your customers find invaluable. 1. Attract the right customers. The first step to any successful marketing strategy is to define your target audience. This will help you better target homeowners and DIYers, as well as contractors and vendors. Defining your target audience is not as simple as it might seem. For example, you might say, "I'm targeting homeowners in a 20-mile radius of my store location." Okay, but are they first-time homeowners, those who just purchased a fixer-upper, empty-nesters, vacationers or weekenders? And, what age range does your ideal customer fall into? What gender and income? Do they live in cities, rural areas or suburbs? The more you delve, the more you discover there is to learn about defining your ideal potential customers. After clearly-defining your target customers, you will naturally want to grow your customer base in your targeted region. You can increase organic traffic to your website with Search Engine Optimization utilizing Home Improvement topics and keywords. And you can deploy targeted social media, pay-per-click, radio and print ads, or a combination of these, to generate immediate traffic results. It's critical to make sure your sales, promotions, and in-store events are broadcast to the right audience at the right time. There are a range of ways to accomplish this, but some common channels are through email, social media, pay-per-click advertising, print or radio, or a smart combination of these. But you shouldn't over-saturate your audience with sales pitches or promotions. Instead, try to provide a consistent stream of useful, relevant and interesting content, sprinkled with the occasional sale or promotional item announcement. Instead of taking shots in the dark, you can market smarter to help you meet your home improvement company's goals. What does this mean? It means that instead of casting a wide net with your marketing in the hopes of catching just the right kind of "fish", you develop a strategy targeted towards exactly the kind of "fish" (i.e., customers) you hope to attract. One that uses the right marketing tools for your goals, and trims the waste from campaigns that aren't working. We also recommend partnering with a reliable marketing agency to help you execute those strategies on your behalf, so that you can put your attention back on more urgent tasks and business objectives. And if you really want to take your marketing to another level, consider automation software. To really maximize budget and free up time and resources, you can implement HubSpot marketing software capable of automating your email campaigns, creating workflows, and facilitating social media and content management. Beyond targeting the right audience and nurturing those leads into customers or sales, you can enhance your impact by maintaining a reputation as a thought-leader in the home improvement industry. How? By offering useful, high-quality content and maintaining a social media presence that consistently offers relevant information to your customers. This will, in turn, continue to attract new potential customers to your social channels, newsletter subscription page and website. Not a lot of time for marketing but plenty of need? Consider teaming up with the experts at KathodeRay Media. Contact us today for a free consultation to discuss the particulars of your home improvement center or lumberyard business.